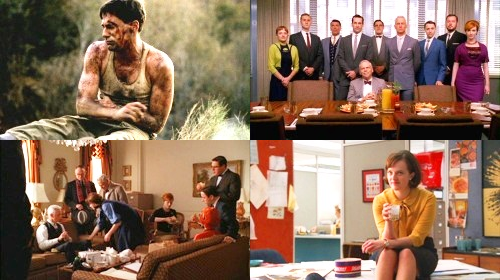 Mad Men: S1-S4. One scene from each season.. Wallpaper and background images in the Mad Men club tagged: mad men season 1 season 2 season 3 season 4 fan art picspam collage. This Mad Men fan art might contain brasserie.